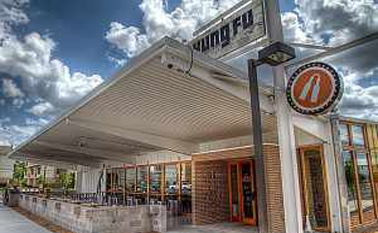 Kung Fu Saloon is a local area watering hole offering a relaxed atmosphere on Washington Ave. Featuring a theme that’s part vintage arcade, part sports bar, and part late night dance party – it's the perfect spot to come grab happy hour during the week, or come out and be seen on a Friday or Saturday night. There is a great crowd, plenty of people watching, good music, and more than enough games to keep you entertained (Jenga! Skeeball!) Definitely more of a bar than a club, which is a nice change of pace.